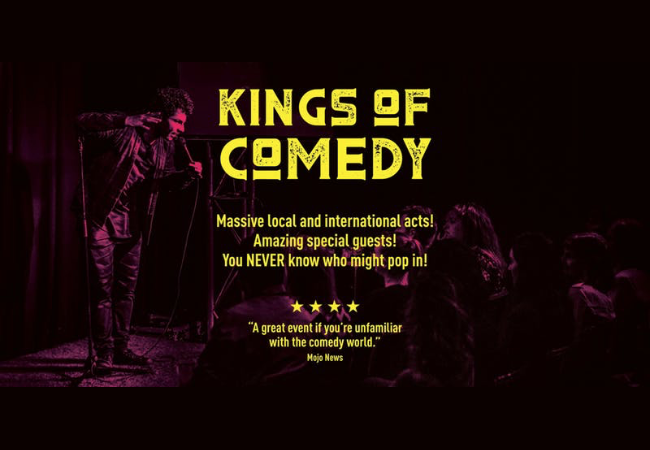 Kings of Comedy's highly acclaimed showcase is back for our fourth Melbourne International Comedy Festival. Come and experience one of Melbourne's best comedy clubs. Rotating line-up every show. Come and sample the comedians shows you need to go and see. Dinner/Show packages available. Bookings essential. Due to popular demand we've opened two sessions a night. Sells out fast – don't miss out. This year we're proud to announce our Thursday Night Special featuring reserved seating and dinner during the show – this is our premium night out. Expect no less than superstar headline acts and premium laughs all night long!